This week needs a Friday....right meow! Fridays can perk you right up - funny how that happens! Fridays are also great, because that's often when we head off to Wichita to see my daughter and her husband. I just got back from a quick visit and it was terrific to see them, but guess what? I got to feel little Louisa rolling around making her presence known! (In case you missed it previously, my daughter, Lauren, is due in late October and is having a girl - Louisa.) We spent most of two days stocking up on things that all new babies need - such cuteness! I've got some cuteness here too. 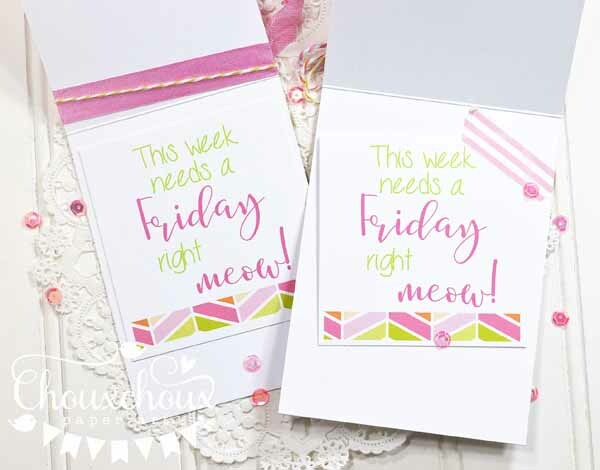 A cat card printable you can send to a friend, showing a little solidarity with that Friday lover. Or maybe show a little empathy with someone who needs a break - right now! 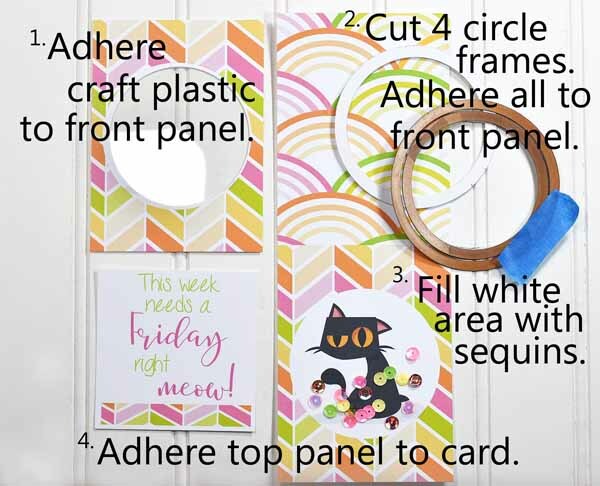 You can print this card twice to create a shaker card and then use the left over pieces to make another card. 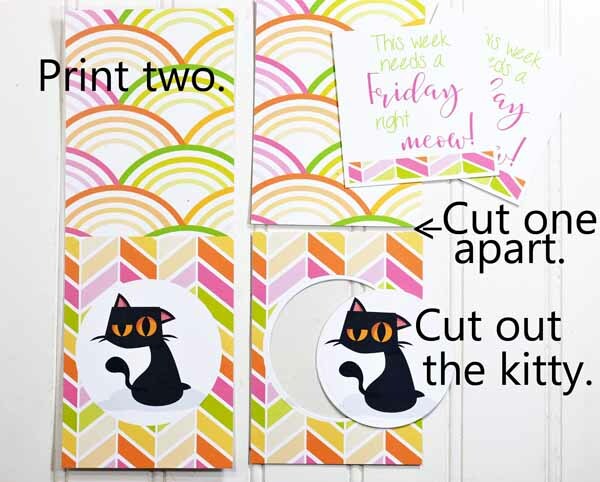 Or you can, of course, just print it once and still have a cute card. The fun sentiment is included in the download. I just love this cat: droopy eye, droopy ear and all! I get all draggy when I need a Friday right meow, so I totally get it. You can print this guy twice to make a shaker card and have some pieces left over to make another card. I printed mine on 120lb cardstock. That makes a lovely, stout feeling card. 1. I used double sticky tape to adhere the craft plastic to the front panel. want to.) I used double sticky tape to adhere the circle to the craft plastic. circles. You can also strategically glue a couple of sequins where you like them. There are many ways to do a shaker card. This is the easiest for me. 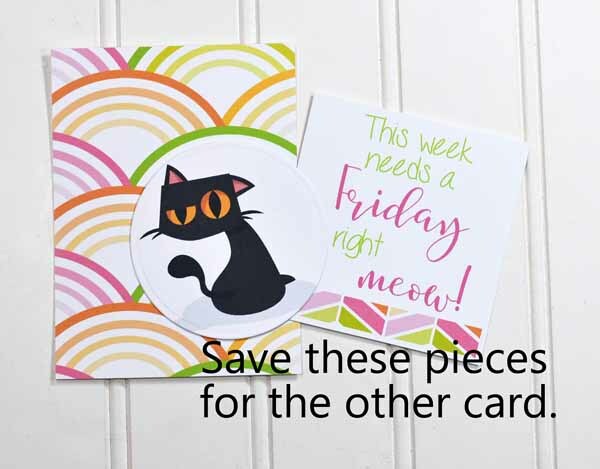 Download the Cat Needs a Friday Printable Card HERE. When the image comes up, wait for a bit and the download button will appear in the top right corner. If you have any trouble, just let me know and I'm happy to email it to you. Keep this in mind when you or someone you know needs a Friday right meow! Hope we all have a lovely week: no droopy eyes or ears, please. 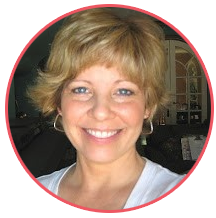 Just too cute, Lori! Both cards are great, but I adore the shaker! How fun to go shopping for your granddaughter--glad you're close enough to see your daughter often! Sounds like you are having fun getting into "Grandma mode". So sweet and fun cards! 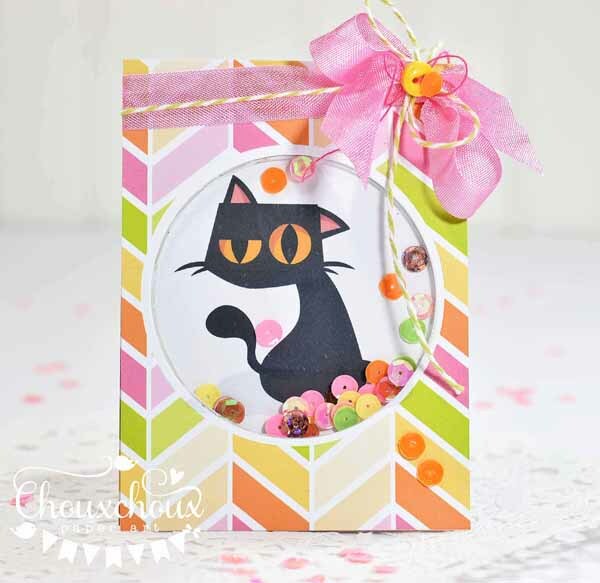 Love the cute black cat! These are so fun! 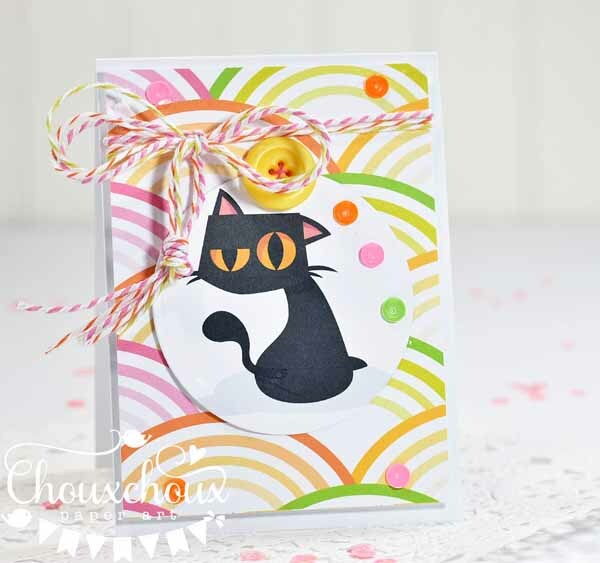 I love the shaker and what a bonus to create a second card too! How incredible that you got to feel Louisa moving around!! Wow! They are both just Precious!! love the pretty colors and image!! Super cute! How exciting to spend time with your daughter, preparing for Louisa's arrival! Baby stuff...such fun! I'm intrigued by the 120 lb. 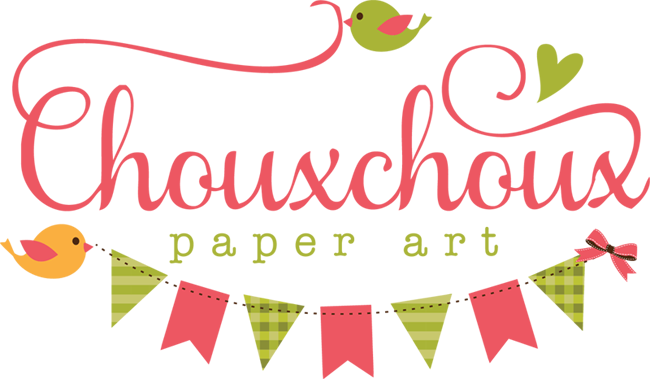 cardstock you use. I checked on Amazon.ca (I'm in Canada) and the price was reasonable...hmmmm. Just wondering: do you 'love' it? Worth investing? Let me know if you have a chance! Hi,Carol! Just sent you an email. Yes, I do love it and I do recommend it! You must be so excited about baby Louisa! Such a pretty name too! 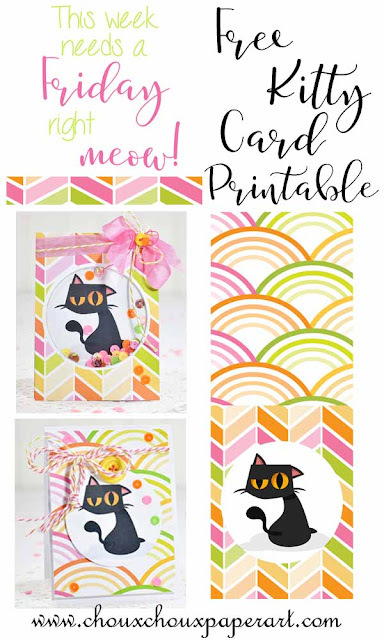 Your kitty cards are adorable! I especially love the shaker! I wasn't able to snag your freebie this time - it said the folder public doesn't exist. Hope you get to visit your daughter again soon! Omgosh, that little cat is just the cutest thing ever! And LOVE your sweet projects! Definitely put a smile on my face! And SO happy you just got to spend some time with your DD and wee baby Louisa! How precious! So adorable! Love the sentiment!! I knew kitty would love this one! Yay to being a grandma and getting to shop for adorable baby girl items!! 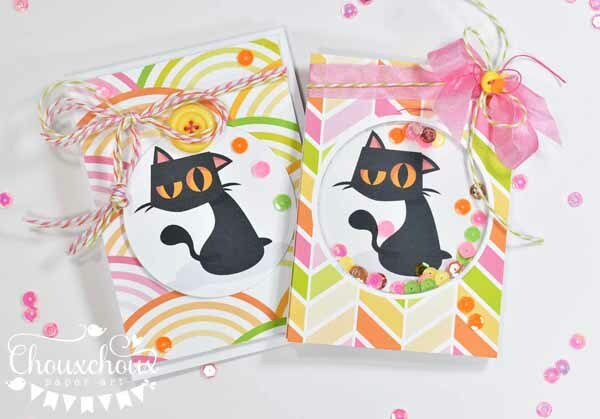 Awww these are so cute, I love that fun cat and your gorgeous papers! I was popping through reading blogs and your funny cat made me COL (chuckle out loud) (: too cute Lori!! Congrats on being a Nana-to-be! Love the card and agree that there is something about a Friday to perk a person up after a long week.